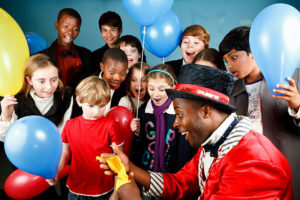 The world-famous College of Magic in Cape Town returns to dazzle this winter school holiday with the Children’s Magic Festival 2019 from Wednesday 19 to Saturday 22 June 2019. 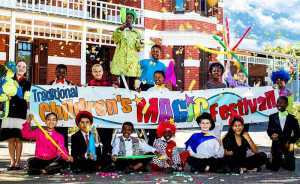 The popular traditional Children’s Magic Festival now celebrating its 25th year of entertaining young magic fans and their loved ones. The showcase is a not-to-be-missed four day adventure into a world of fantasy. Join more than 100 captivating performers for a variety of incredible activities – from spellbinding magic shows and thrilling treasure hunts to hands-on interactive workshops and a mystery tour of the College of Magic’s mysterious Victorian building. In addition to enjoying all of the magical hi-jinks, festival goers are invited to dress up to this year’s theme – Fantasy as their favourite fantastical characters – a fairytale prince or princess, mythical creatures, superheroes, and more. 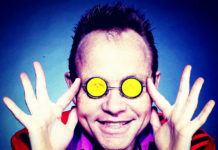 The College of Magic, the only organisation of its kind in the world, has been teaching the theatrical performing art of magic and its allied arts as well as vital life-skills to children and adults since 1980. This winter event is perfect for families wishing to escape the cold, and is one of the College’s key fundraising events of the year. “We’re excited to once again host this magical Capetonian winter school holiday event! 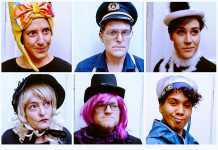 Our cast, featuring our talented graduates and students, is all set to charm with unbelievable feats of magic, escapology, stilt-walking, mime and clowning, juggling and more. We cannot wait to whisk you away to a world of fantasy. Book your tickets and join us! “ says David Gore, director of the College of Magic. The College of Magic Festival will be held at the, 215 Imam Haron Road in Claremont, with the 90-minute show programme running daily at 10am, 11am, 2pm and 3pm.